Engines are designed to work at their best when they are clean, and modern engines are designed to work with finer tolerances and at higher temperatures. Over time, grimy deposits can collect inside your vehicle’s engine and fuel system. Left unchecked, these deposits can result in lower fuel economy, lost power, and hesitation during acceleration. With more than 30 years of research and development, Techron has earned the trust of car manufacturers, mechanics, and motorists the world over. 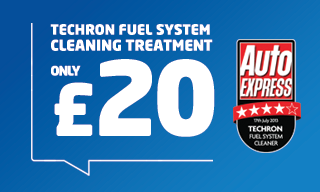 Techron premium fuel system cleaners have been tested extensively over a wide range of conditions, and in engines both old and new.